Geoff Ind Animation: Quick Warm-up sketch. 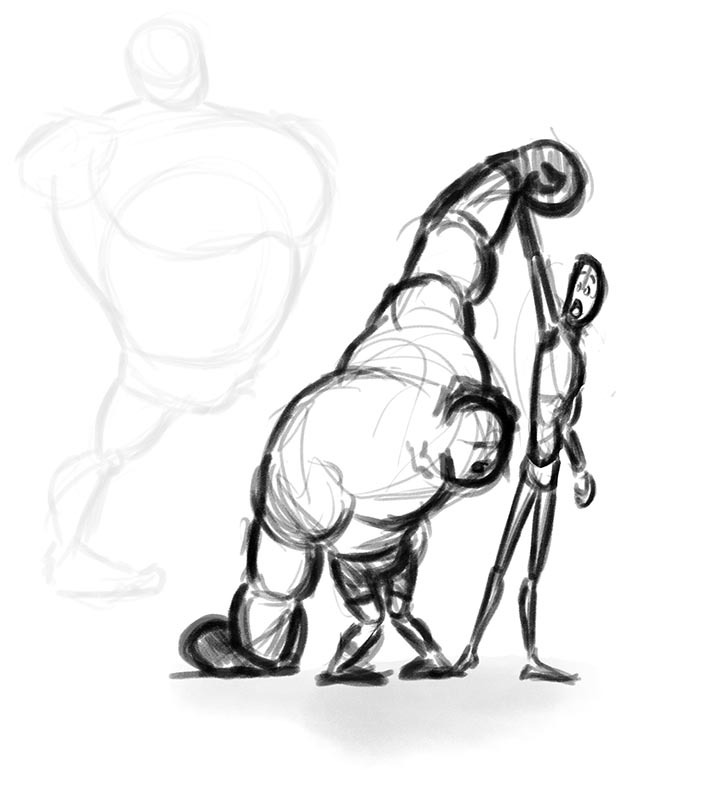 This is generally how my drawings start out life, as a very quick and rough sketch. 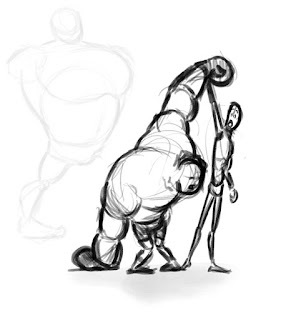 In these quick sketches I mainly concentrate on Gesture, Anatomy, Perspective and Silhouette. I then draw over my sketches on a new layer refining the drawing and adding more detail in a more finished clean line style. Sometimes I feel that the first sketch that I do is often the one with the most life in it. This year I resolve to try and keep the looseness and vibrancy of these initial sketches in my work. This one was completed in about 15 minutes or so while I was warming up this morning. I kind of like how it came out, hopefully I'll come back and do more of a finished version later. Ruff warm up sketch "Victorious Boxer!" I should probably put some feet sticking into frame of the vanquished boxer or something similar!